Data is from a February 2014 vCita report. 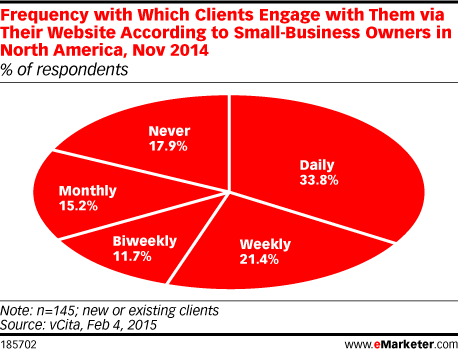 200 small-business owners in North America were surveyed during October and November 2014. Respondents identified the number of employees at their company as only themselves (36.3%), between 2-5 (38.3%), between 6-10 (10.1%) and 11+ (15.5%). vCita is a provider of web engagement software for small businesses.